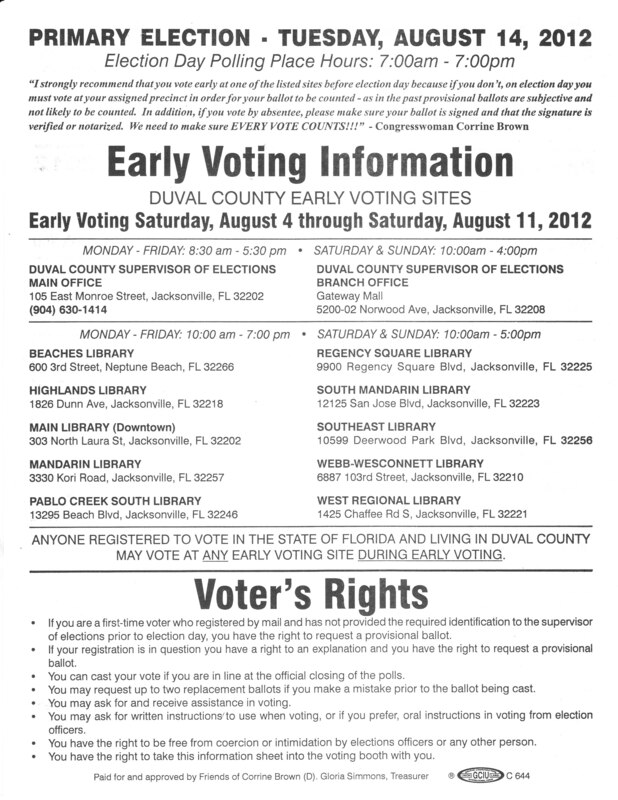 Primary Elections Tuesday, August 14, 2012. 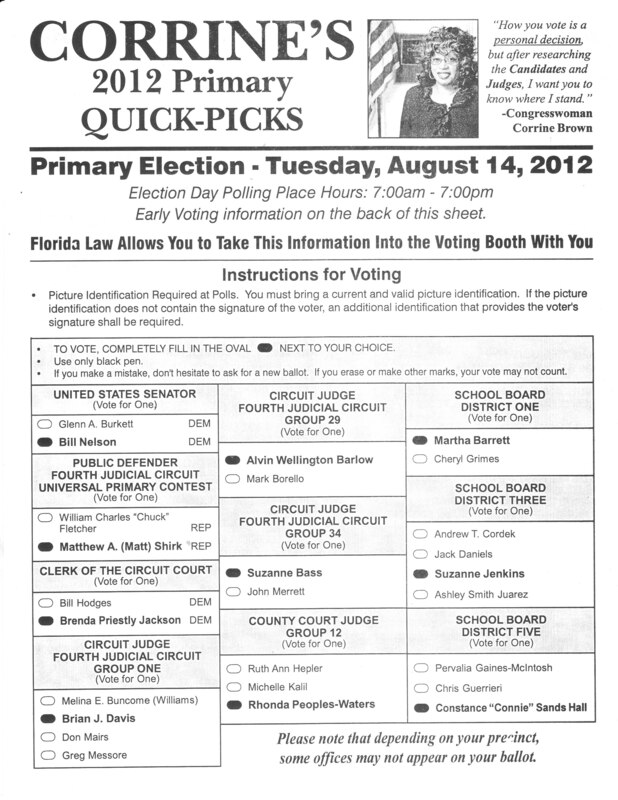 For voter’s convenience, Congresswoman Brown has availed MASSIVE copies of her Quick-Picks and they are being distributed throughout Jacksonville communities. For your FURTHER convenience, I’ve taken my personal copy, scanned it, and uploaded it into a post, because the viral revolution can save trees, save trees. Oddly, we both picked all the same candidates…great minds, great minds. FLORIDA LAW ALLOWS YOU TO TAKE THIS INFORMATION INTO THE VOTING BOOTH WITH YOU. 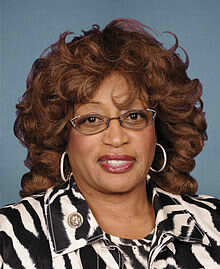 By now, you should know the candidates, but if you are unable to make the BEST educated voting decision, rely on the endorsement of a seasoned politician who has a reliable pulse on those public servants whose platform and qualifications best align with the greater good of the Congresswoman’s own political agenda and the future welfare of Florida’s Third District.